Looking for a fun at-work diversion? 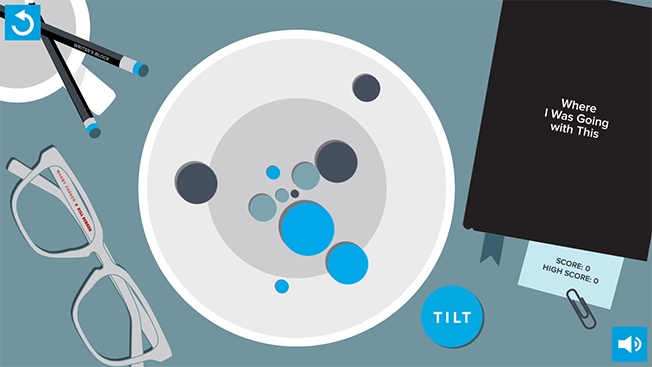 Warby Parker has you covered with its new free desktop video game, Worbs. On Tuesday, the brand launched the game in partnership with video game company Kill Screen. The companies also collaborated on a pair of limited-edition glasses. 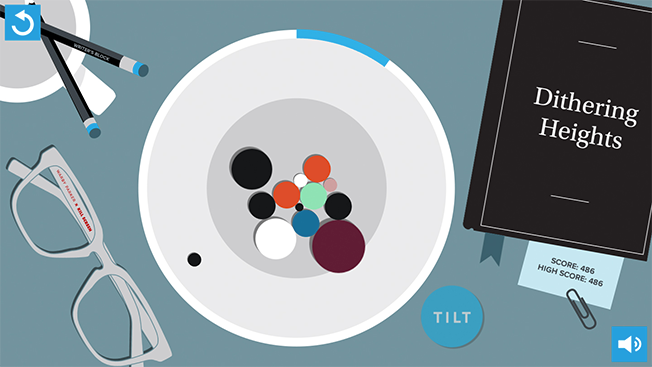 The object of the game, which is on Warby Parker's website, is to match and clear groups of like-colored balls in a bowl. The bowl is set on a desk with books that have made-up titles like I Know You're Bored, but What Am I? ; Dithering Heights; and Where Was I Going With This? The game expresses Warby Parker's focus on design and entertainment. "Warby Parker stands for fun, creativity and doing good in the world. Co-creating a video game sets us apart from other lifestyle and accessories brands," said Neil Blumenthal, co-founder and co-CEO of Warby Parker. "Consumers still favor experiences, and the brands that provide the best experiences will continue to grow and be successful." The game will be live for a few months, and Blumenthal isn't ruling out developing more games in the future. For now, though, he's busy trying to rack up a higher score in the game (a score of 500 is considered good, and 1,000 is considered very good). "The response has been amazing. I can't seem to break 1,000, but there are some people in the office who can't break 400, so I'm feeling pretty good right now," he said. "It's addictive. You probably don't want your direct reports ever pulling it up on their computers at the office, but it's a lot of fun."